Whenever we talk about success, we always talk about some basic traits, some specific habits which are followed by those who taste success. Tim Connor in his book, The Basics of Success, attempts to do the same. 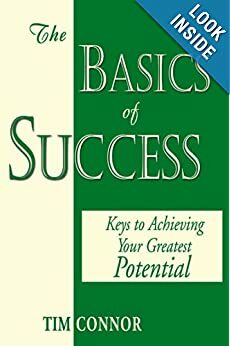 He lists out some of the basics which he thinks are prerequisite to getting success. The book is a short read with chapters ranging between 1-2 pages and sometimes 3. But I found it very difficult to keep up with the idea Mr. Tim wanted to convey. The big barrier became the typo – sometimes the repetition of words and sometimes the spellings that made the whole word sound different, which further wandered the reader away from the author. Apart from this, I also found frequent grammatical mistakes that broke my flow of reading to a great extent. Talking about the content, only a few chapters impressed me, which I think may be because I had already come across most of the information provided in the book. Though the non-avid readers may find it very insightful. The poems after almost every chapter brings the reader back onto the track and provides the summary of what Mr. Connor wants to convey in the chapter. The most impressive chapter for me was Success Traits. It highlighted almost 30 traits which are essential to get success. Among these traits were Living with passion, being optimistic, having sense of humor and many others, which I would leave for you to read. To conclude, I can say that the book is not a must read. Being disappointed with the typos and their frequency, I’m discouraged to recommend it to any of my readers.